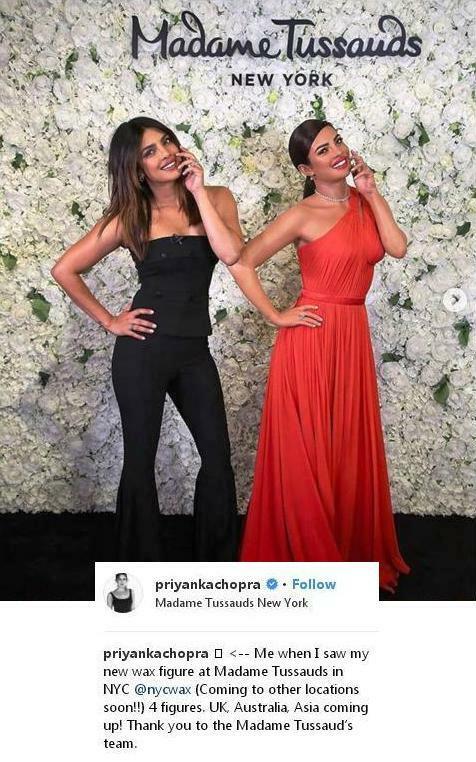 Priyanka Chopra Jonas has helped unveil her wax statue by Madame Tussauds. The figure is in New York City. The actress posed alongside the life-like statue for photos that were posted to her social media.